Vrnjacka Spa is the most famous spa and the most visited tourist destination in Serbia. Visitors have been coming to Vrnjacka Spa for already 135 years for health reasons as well as cultural, sports and other events. The spa got its name after the village of Vrnjci where springs of mineral water were found. The first written document about Vrnjacka Spa is baron Zigmund Herder's report, who did a research on the national treasures of Serbia on the directive of prince Milos Obrenovic. He considered Vrnjci mineral water to be of great quality and compared it to the famous mineral water springs in Karlovy Vary in the Czech Republic. The medicinal waters of the spa, considered the queen of Serbian tourism, are good in curing diabetes, gastrovascular and gynecological diseases. The spa water called Vrnjci Water is good against cardiovascular diseases. Vrnjacka Spa is situated in central Serbia, 200 km south from Belgrade on the slopes of mount Goc and in the valleys of the Vrnjacka river and the Lipovacka river. It lies at 220-300 m above sea level. It is characteristic for its mild continental climate with temperately warm summers (average temp. 20ºC) and temperately cold winters (average temp. 8ºC). Soko spa is a large health center and a famous spa. Its thermal springs have been known for their healing abilities since the Romans. 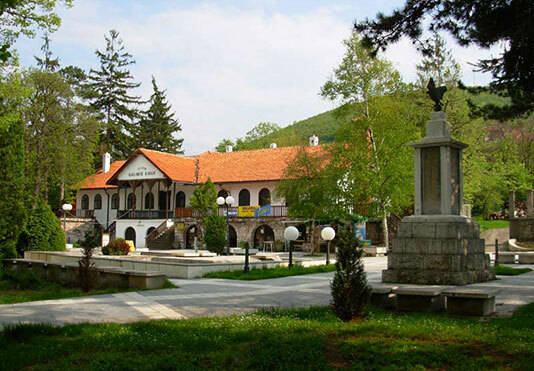 What makes Sokobanja attractive are its thermal and mineral waters, ideal height above the sea level, mild continental climate, fresh, oxygen-abundant mountain air, beautiful untouched natural environment. It is a renowned tourist center with a more than 170 years old tradition. Natural medicinal factors of the spa are thermal and mineral springs whose temperature ranges from 28°C (Banjica) to 45.5°C (Park), radon gas with good ionization, fresh mountain air with no pollution and very mild continental climate. There are seven hotels in the spa: „Sunce”, “Moravica”, “Zdravljak”, “Turist” and a natural rehabilitation center „Banjica“. There are many medical facilities, hospitals and specialized hospitals. Apart from having state-of-the-art medical diagnosis, treatment and rehabilitation equipment, Sokobanja has thermal water, pools, gyms, sport halls, tennis courts. 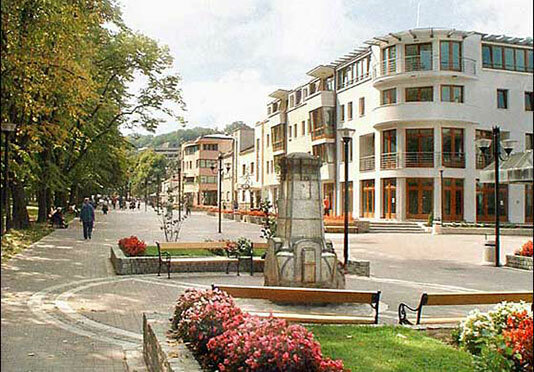 Sokobanja is situated on slopes of the Ozren mountain (1117 meters) and the Rtanj mountain is nearby. The spa is surrounded with beautiful and spacious parks and picnic grounds. There are Bovanska Gorge and Bovansko Lake, Ripaljka, the biggest waterfall in Serbia, picnic grounds Lepterija, Kalinovica and Ocno. Finally, there are many caves. The Sokobanja valley extends in the east-west direction. It is 15 kilometers long. It has an area of 515.5 km2. It is connected to the eastern Serbia via Knjazevacka Gorge, while, on the south-west via Bovanska Gorge, it is wide open toward Aleksinac and Moravska Valley.